Representatives of the Diocese of San Francisco and Western America traveled to Holy Trinity Seminary in Jordanville, NY, for the II Annual Gathering of Alumni which was organized from the 10th to the 12th of February, 2016. The church choir of Saint George Church in Jordan, Utah, has always consisted of women and girls. Over the course of several years the Father Rector, Archpriest Michael van Opstall, has written three-part arrangements and original compositions for women’s and girls’ voices. For the most part Father Michael writes arrangements based on musical anthologies like those found in the “Chanter's Companion” (Sputnik psalomchika), which comprises single-voiced melodies of the Znamenii Chant printed in square notation. 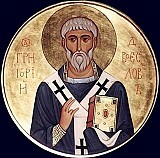 This year, the Russian Orthodox Church Outside of Russia marks the 50 th anniversary of the repose of the great hierarch, the “Russian Nicholas the Miracle-worker,” our holy father St John of Shanghai and San Francisco. 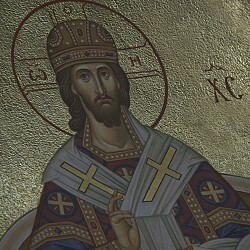 The celebrations began with a visit of a large reliquary containing his relics to Holy Trinity Cathedral in Toronto, Canada. The region has many faithful who venerate his memory . Russkaya zhizn’: We heard that the Cathedral Choir will sing the Liturgy of the Pre-Sanctified Gifts for the first time ever. Tell us how this idea came to be? On the Sunday of Orthodoxy, March 20, 2016, His Eminence KYRILL Archbishop of San Francisco and Western America elevated Sub-deacon Edward Anderson to the deaconate in Christ in Holy Virgin Cathedral. With the blessing of His Eminence Archbishop Kyrill a special petition for the well-being of persecuted Orthodox Christians is to be raised up throughout the Western American Diocese. On Friday, May 6, St. George Russian Orthodox Church celebrated their patronal feast with a liturgy. It was the tenth such festal liturgy since the parish’s founding in the fall of 2005. Archpriest Michael van Opstall celebrated the liturgy together with five of his brother priests. On the 9 of June, 2016, Holy Ascension Church of Sacramento, California marked its Patronal Feast Day of the Ascension of the Lord. This year, the parish school of Holy Ascension Russian Orthodox Church of Sacramento held its annual Russian River camp from June 21, 2016 until June 25, 2016. On Tuesday, June 21, a group of participants gathered near the Holy Ascension Church. Once all belongings were safely stored in the vehicles, Father Paul blessed each car and we headed out to the Russian River. After a 2 hour drive, we arrived at the campground and set up two tents. Working together, we quickly assembled them and went to the molebin at the nearby Church of the Mother of God of Kazan in Guerneville, California. 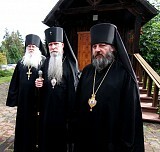 "At the meeting of the Synod of Bishops of the Russian Orthodox Church Outside of Russia, which was held on June 18/ July 1, 2016 in the San Francisco on the eve of the celebration of the 50th Anniversary of the Repose of Holy Hierarch and Wonderworker John (Maximovich), the petition by Archbishop Kyrill..."
On Tuesday August 2, 2016, His Eminence Archbishop Kyrill of San Francisco and Western America presided over the Divine Liturgy at Saint Elias Church of Diamond Springs, CA, marking the patronal feast day with the clerics, parishioners and guests of the community. On August 14, 2016, His Eminence KYRILL Archbishop of San Francisco and Western America, made an archpastoral visit to Saint Innocent Russian Orthodox Church in Rogue River, OR. On Friday, September 30, 2016, concluding his visit to Israel for the funeral of Shimon Peres, Prince Charles of Wales visited Gethsemane Russian Orthodox Convent. Archimandrite Roman (Krassovsky), Chief of the Russian Ecclesiastical Mission in Jerusalem, greeted the royal guest at the gates of the convent and told him about the history and daily life of the monastery. The 25th Anniversary Russian Orthodox Church Musicians' Conference of church choir directors, singers and readers – attended by over 70 people – took place in the seat of the Canadian Diocese, Montreal, with great results and success. The most recent Diocesan Assembly of the Western American Diocese was convened on November 15, 2016.